Here is a look at the Nike Kyrie 4 BHM 'Equality' Sneaker Available Now HERE at Villa and HERE at Nike. 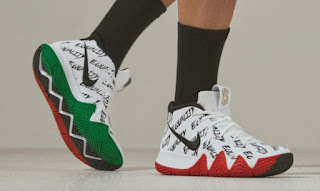 Championing equality beyond the game, Kyrie is a firm believer that the lines of the court aren’t meant to divide, they’re meant to unite. Leveraging the power of sport as a platform for change, Kyrie lifts the voices of all who have inspired him, while empowering the next generation to utilize their voices. 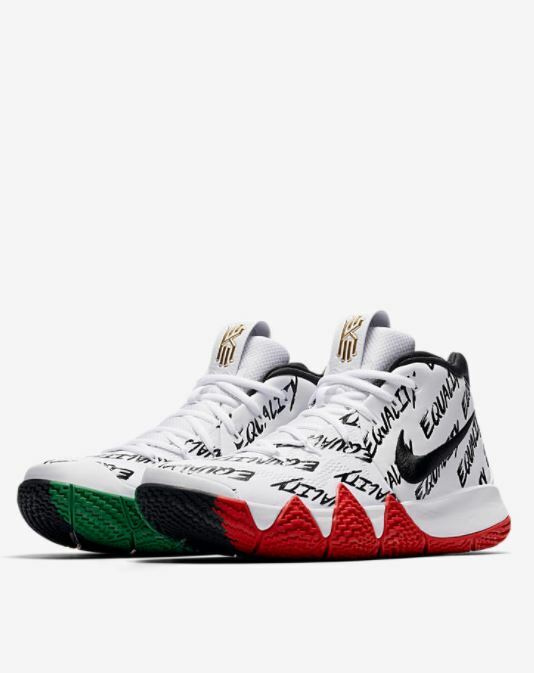 Detailing equality throughout the shoe, this Kyrie 4 “BHM” celebrates Kyrie’s anthemic rallying cry for equality and his mission to honor the incredible achievements, actions, and progress of those who came before him.